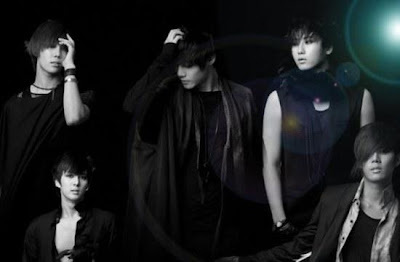 Last Friday’s Music Bank gave SS501 its first win for their new song “Love Ya”. As I said before, Music Bank relies heavily in album sales and it was still like that last Friday. If you go back on my latest online chart post, SS501 have topped the hanteo chart for the week. I haven’t been wrong yet. The winner of the episode always comes from the artist who sells the most in that week. Let’s see on Friday if I’m still right. According to Hanteo, SS501 tops the chart of the week of (2010.06.07 ~ 2010.06.13). So I’m predicting an SS501 win on Friday. Anyway, congrats to the boys. Wonder Girls and Super Junior once again battled out for first place in the recent episode of Music Bank. Though the points are much closer than last week, Super Junior maintained their #1 spot. And like last week, album sales helped Super Junior a lot. Let’s admit it. “Bonamana” isn’t really a hit. It won awards only because of album sales. The 3 Music Bank wins of Super Junior was heavily influenced by the sales. But the question is, how long can ELFs keep this up. They can’t keep buying tons of albums week per week. They need the help of Digital Score, Viewer’s Preference and Broadcasting Score. I’m really puzzled why “Bonamana” isn’t popular with Koreans. The song is good but “Bonamana” barely appears on the Top 10 of the online charts.